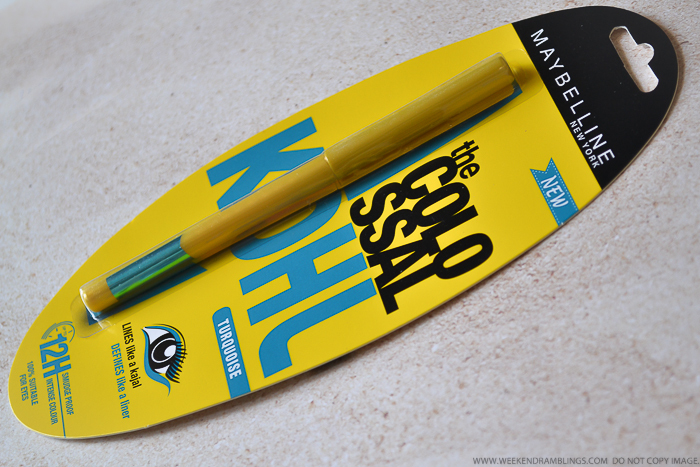 The product packaging is pretty much the same as the black/regular Maybelline Colossal Kajal - a bright cheery yellow pencil with turquoise-colored writing and design to help differentiate between the black and the colored liner. 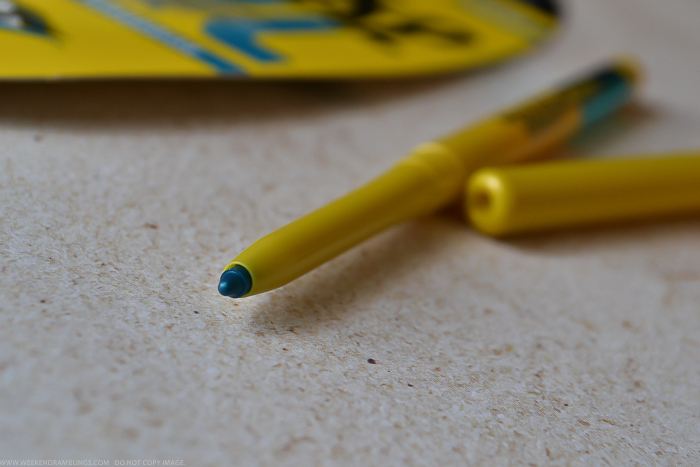 This is a twist-up pencil, and the tip stays relatively thin without any need for sharpening between uses. 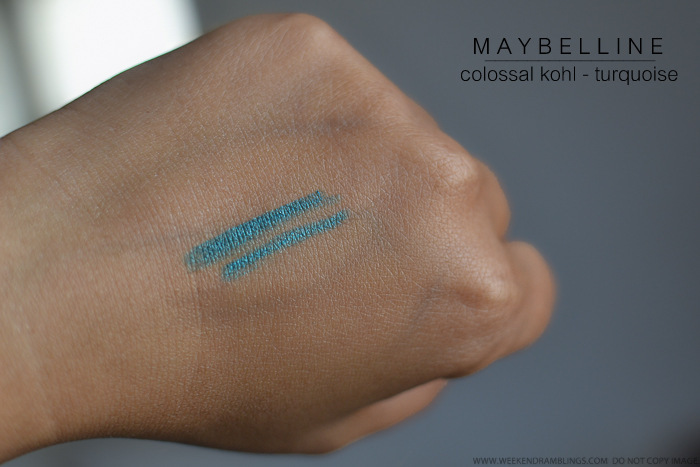 True to the name, Maybelline Colossal Kajal in Turquoise is a bright blue-green with a bit of a sheen to it. 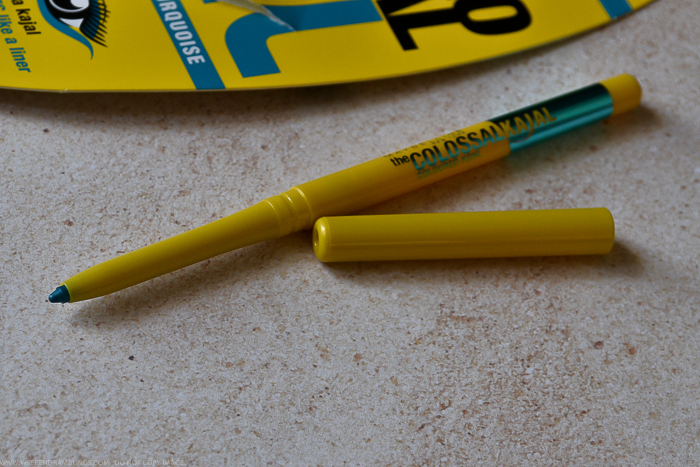 The pencil is quite pigmented and soft, so it's easy to apply color even on the waterline. As for claims of lasting 12 hours without smudging, the color does stay on without smudging or fading through the day, and I definitely need a good makeup remover to take it off completely. I have sensitive eyes that water up at the slightest excuse, so this liner gets major points for the lasting power, plus it doesn't irritate my eyes either. Since this is a brighter color, I prefer applying it along the waterline. 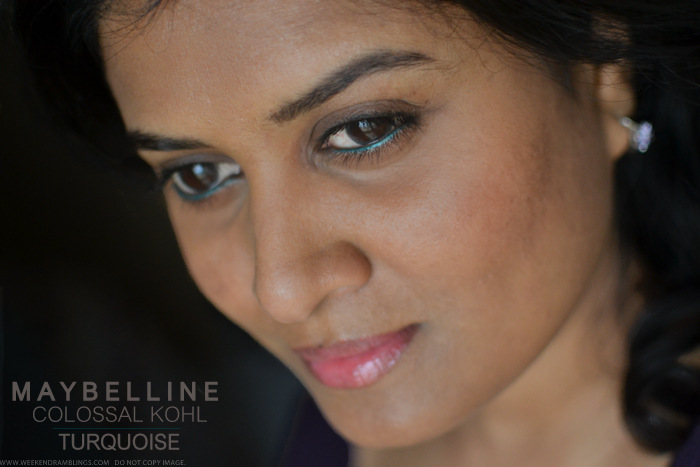 Paired with black eyeliner - tightlining and along the lashline - as well as black mascara, Maybelline Colossal Kohl in Turquoise is the easiest way to add a pop of color into my everyday makeup. 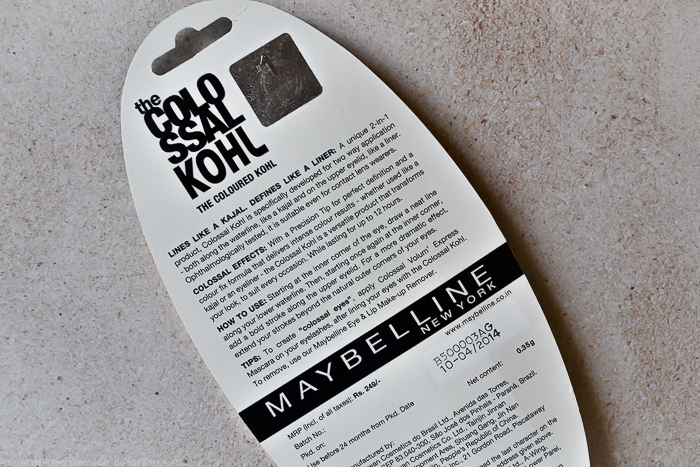 Do give this a try if you love colored eyeliners and/or are looking for a quick update to your makeup routine. Very pretty! And is it me, or have you not posted for millenia? Great to see a post from you again! Welcome back darling! You were missed. Hope there are beautiful things you feel like posting. Have a great day! That colour looks great Radhika! I have a totally unrelated question for you - I am in Bangalore right now and have seen a lot of Fab India skincare products - have you ever tried any of those? I am trying to do a big Bangalore beauty haul :D and was wondering if it was worth it to lug those Fab India products back to the States. Hii Sarah..I haven't used anything from the Fabindia skincare range, but I thinkkkk I had checked them out some time back in the store, and I wasn't too keen on trying because they didn't have a complete ingredient list...I might be wrong about it or they could have changed the labeling now. My friend has tried some toner - lavender, I think - and seems to like it quite a lot. Check out Forest Essentials - that's another natural skincare brand that seems to get some good reviews though is a bit pricey. 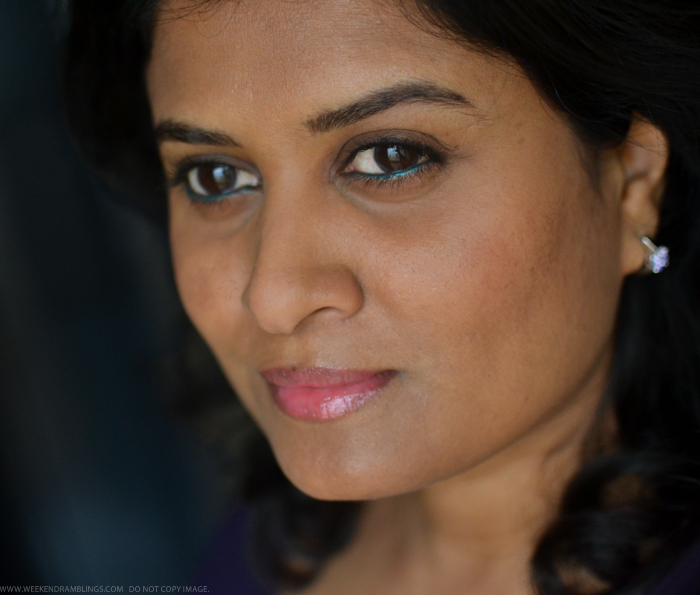 I have tried a few products from Kama and I liked those too...Mridul face cleanser, and they have some face packs also. Most of the things I have tried are powders - mix with water and use, so they don't expire as fast and had simple ingredients. Bombay Store (Indranagar and at 1 MG Mall) - I have seen some products there earlier. 75, Inorbit Mall, EPIP Area, Whitefield Tel:+91-80-28029635 ...this Inorbit mall also has Hypercity and Bombay Store I think...so if you are staying somewhere near the place you could check it out.